All Things Eating Out showcases fabulous independent places to eat out in Norfolk. 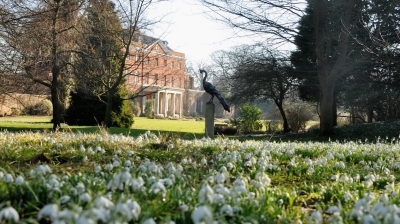 Whether you are looking for an eatery with fine views over the Norfolk Coast, Countryside or City of Norwich, or a fine dining restaurant to make that occasion extra special , this category is full of fabulous independent Norfolk eateries, with many focussing on locally sourced produce. Open all year round, the Cliftonville Hotel has established an enviable reputation with stunning coastal views. The Edwardian elegance of the hotel has been skilfully retained, whilst the comfort and standards that guests have come to expect from a top class family run hotel are self evident. Located on Cromer’s west cliff, it sets an impressive standard as one of North Norfolk’s leading hotels. Located at the Cliftonville Hotel is Bolton's Bistro, a busy and thriving bistro which specialises in fresh fish dishes including the world renowned Cromer Crab and locally caught lobster (when in season), as well as a variety of meat dishes, seasonal salads, steaks and also vegetarian choices. The vast Specials Board changes on a daily basis, and with desserts to die for and tempting liqueur coffees, a visit to Bolton's is a must for anyone visiting the area. Open Daily 12noon to 2pm and 6pm to 9pm. Booking is essential. • Desserts to die for! Nestling in the pretty village of West Runton discover the natural beauty of this small coastal Norfolk village, an ideal place to stay for playing Golf, Horse-riding, Fishing, or enjoying beautiful country and coastal walks with nearby bird watching facilities. It has an attractive clean beach which is only a stone's throw away from the Hotel. The Dormy House is a small family Hotel with lots of character and run to a very high standard with Staff who endeavour to create a warm and friendly atmosphere with exceptional hospitality and service. 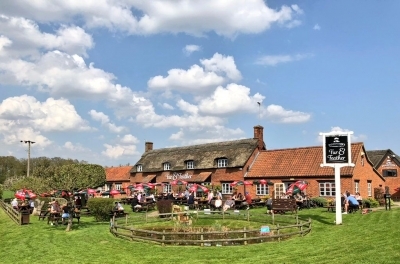 Set in Norfolk’s Wensum Valley, Lyng is in a beautiful part of the country which is very popular with walkers and anglers, so once you have had enough of outdoorthe main street, and near to a stream in the charming Village of Lyng, The Fox Country Pub & Restaurant dates back almost 300 years. Fully renovated, we’ve retained traditional elements such as the beamed ceiling, open fire and tiled floor that add to the warm, welcoming feel and contrasted them with modern styling. The resulting mood is fresh and eclectic without belying the business’s Country Pub origins. 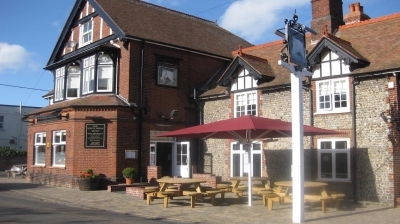 Serious about food and drink, The Fox features a wide range of Real Ales and fine wines, together with a tasty menu formed from the best local produce. All dishes are freshly prepared and we believe that you will always find something that will appeal to you. Children’s Menus are available and we can also cater for any special dietary requirements. For brighter days, The Fox has an enclosed garden with lovely views of the church. The Fox has off-road parking.